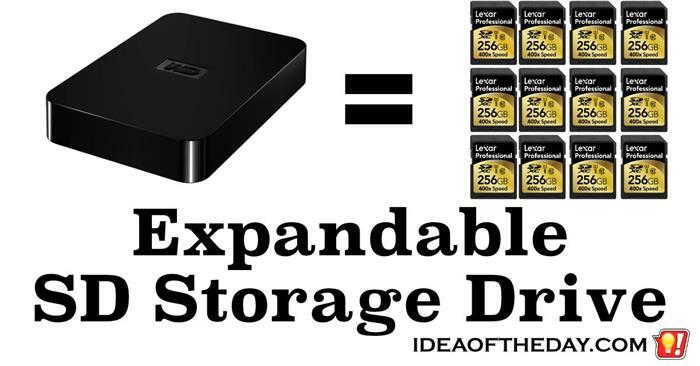 An easy to expand, solid state storage system. SD cards are dirt cheap these days, so a lot of people don't even bother re-using them. When a card fill up, they pop in a new one. But, wouldn't it be great if you could just drop your old card into a box along with all your other cards? The firmware could make all your cards look like one big one, with each individual card showing up as a folder. This would be the easiest way to implement this, but there are other, even more exciting ways to build such a device. An even bolder design would be to implement a RAID system, which not only would let your computer see these SD cards as one big drive, but spread the data among new drives to provide increased performance and data protection.